Kabbalist Rav Ashlag, who founded the Kabbalah Centre in 1922, says that there is a famous line of scripture that speaks about a trumpet sounding just before the Messiah arrives. A shofar (a ram’s horn) is supposed to be blown as the Final Redemption of our world takes place and all the world will hear it. Forgot about the literal meaning. No man on earth packs enough power in his lungs to blow the shofar loud enough for the world to hear. Perhaps it will be broadcast on CNN or FOX NEWS? Rav Ashlag would likely be dismayed by that answer as well. So what does it mean that a trumpet will ignite peace on earth and paradise? 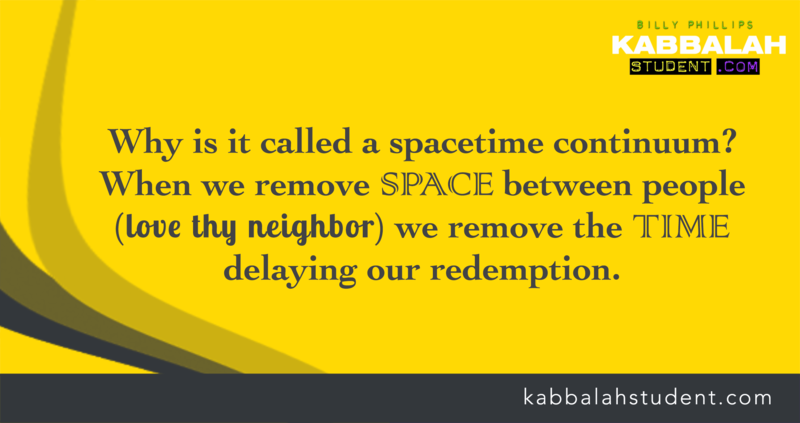 Before we answer this question, the Zohar offers us a stunning insight. The Zohar says clearly that the Israelites are the heart of the one body of humanity and that the other nations and religions are the various organs that make up this one body. The term Israelite refers to Jacob, whose name was changed to Israel after he defeated a negative angel, which is a metaphor for our own ego. Jacob earned the title Israel when he conquered his own ego. Jacob also represents the central column force also known as free will or resistance. Our only free is the choice to resist the impulses of ego. When we do that is when we find our humanity. When we obey the ego, we are merely mindless robots enslaved to the whims and reactions incited by the darkness inside of us. Resisting selfishness, narrow-mindedness, the inclination to judge others, and to resist our doubts, is how we become an Israelite. Each time we resist the ego and escape its hypnotic influence over ourselves, we are transforming. Each act of resistance, each transformation, allows the Light and awesome energy that dwells in the 99 percent reality, to flow into our world. We become the conduit. There is no ego to block and clog our spiritual arteries. The same way the heart pumps blood to nourish the other organs, the Israelite pumps the divine Energy into our world nurturing the other nations. This is why The Zohar says the Israelites are the heart of humanity. A lack of blood flow in the body can cause gangrene. Antisemitism is spiritual gangrene. This mission of the Israelites to be the Light Unto All the Nations was given to us at Mount Sinai. Moses had brought the energy into our world and it was so bright, all darkness, including death, were banished from the world. The Kabbalists also tell us each nation on earth participated in this immortal joyful state of existence. They all experienced revelation on Mount Sinai in their own unique language. The Creator did not demand that the non-Israelite nations hear the word of God in Hebrew, or Aramaic, for that matter. Whatever unique language they spoke, that was the language that was used to channel this Divine and unimaginable energy into their lives and this world. Very deep. Very profound. Very telling. So, if we all experienced bliss and immortality at Sinai, what the heck happened? Follow closely: it was NOT the building of the Golden Calf the caused Moses to shatter the two tablets that were the conduit for the energy that was pouring into our planet. The real reason is that something snapped within the consciousness of the Israelites. The golden calf was just an effect. A tragic fall of human consciousness was the cause. All that the Israelites had to do to participate in the permanent pouring of Light and Energy into this world for all the nations, was to activate free will and resist their doubts in Moses and maintain certainty in the Light that brought immortality. The negative force known as The Adversary or Opponent, was given permission to test the Israelites. He injected a vision in their consciousness as real and as vivid and tangible as our every reality. All 600,000 Israelites saw with their own eyes that Moses was now dead. But the Israelites were in a unique position. They had witnessed the parting of the Red Sea. They had experienced the miracles of the ten plagues. And, most important, they experienced the miracle of freedom from slavery after 400 years of being enslaved in Egypt. All they had to do was remember the miracles. On a deeper level, Egypt was really their own ego. They won freedom from ego and doubt and they just had to remember the wonders that were performed through Moses. But they didn’t. Their consciousness fell. And that’s a problem. Why? Because our consciousness creates our reality. Period. It doesn’t just influence reality, it fabricates it down the smallest detail. When the Israelites lost their consciousness in immortality, they lost immortality. Not just for themselves. But for the world. And right there and then was the rebirth of death, the birth of anti-semitism, along with the birth of religion where we now wait for some external power outside our own consciousness to come and bring the return of Sinai and paradise. That is the code of the Golden Calf. Golden Calf refers to the external world that enslaves us causing us to relinquish the power of our conscoiusness to achieve mind one matter. And how many times do we judge someone who has brought so much Light and change and miracles to our lives? We usually forget everything and we begin to doubt them. This brings us back to our original question: What does the blowing of a shofar have to do with changing the world and igniting paradise? Pay attention: Rav Ashlag says there will be no physical air blowing through a trumpet that will magically or supernaturally bring forth the Messiah and a world where death dies a quick death forever. Rav Ashlag says very clearly that it’s the words of Zohar and Universal Kabbalistic wisdom being spoken by the Israelites to their neighbors that will bring forth paradise. The air that blows from our lungs forming words of wisdom and leading to acts of kindness, THAT is the blowing of the Shofar. We lost immortal existence for all the world. Now we must share the wisdom with the rest of the world in order to restore what we lost. If you are unhappy with a government leader, be it, Hillary or Trump or Putin or anyone, it’s because we brought forth darkness into the world. We brought back selfishness and self-centeredness and injustice. We must pour back the original Light into the world to banish the darkness that resides in the hearts of others. Rav Ashlag also says clearly that all religions and spiritual modalities will remain in the world of Messiah and paradise. The SAME way all the world heard and experienced the original revelation on Sinai in their own particular language. Kabbalah is merely the blood that nourishes all the organs of the body. It is universal. It belongs to all people. Kabbalah will be the nurturing force for all individual religions and spiritual doctrines. The ultimate demonstration of deep respect, dignity and unity. A heart cell does not want to become a kidney cell. A liver cell has no desire or need to become a heart cell. We need each cell and organ to perform its own unique function and serve its own particular purpose as a limb, an organ, a cell in the one, united, immortal body of humanity. And each organ is equally important even though each organ serves a different function. Restoring the spiritual blood-flow (Light-flow) into the arteries of humanity! That’s our purpose and a our role as Israelites. We play that role successfully when we dump our stupid doubts and resist judging others and blaming leaders for our problems! For 3400 years, death and darkness achieved a state of immortal existence. Death would never die. Darkness wound never disappear. And all the non-Israelite nations have suffered as a result and they have hated us for it. There was someone who lived some 2000 years ago who tried to repair the situation. He was a Kabbalist and he came to bring the soul of Torah, the Zohar’s wisdom to all the gentile nations of the world while Rabbi Shimon and Rabbi Akiva tried to infuse it into the hearts and minds of the Israelite nation. But the people doubted him and this led to his slaughter (three guesses who that was). The exciting news is, that after 34oo years of death and darkness, finally someone has come forth to carry the torch that the Zohar and Rav Ashlag lit! That person is us—the people who are prepared to walk the path of Kabbalah/Torah. And our name will change, the way Jacob’s name changed, if we resist our egocentric reactions and doubts and follow the flame. We’ll become true Israelites, the heart of humanity, working in harmony and with deep respect for the dignity and welfare of all humankind! How can all religions remain in the time of Messiah, after integrating the teachings of Kabbalah, when that would precisely be what shakes their very foundations? Take Christianity for example. They believe that Jesus was literally the Son of G-d and THE Messiah (not the Messiah of the generation, but the one Messiah) …if they would bring Kabbalah into their religion, they would understand the real meaning of those terms , which will in turn change their beliefs about Jesus and as a a result, Christianity wouldn’t be Christianity anymore. Then it would be something else, but not Christianity, since its core beliefs would have to change in order to incorporate kabbalistic teachings. Can you please clarify that? thanks ! There will be a deeper understanding and it will resonate with deep truth and enlightenment. Trust the Light. look around. there are architects and governments and profound variety of arts and entertainment and great cities and farmers, and wonderful poets and engineers and musicians and sculptors and writers and directors and computer geniuses and airline pilots and on and on and on. It takes all kinds of people with varied skills to maintain the world today. Imagine maintaining and creating paradise anew all the time as it gets better and better. Everyone will have a role. This is so genuinely good thankyou Billy. I hope we as One may find a way to go to war against War, to bully Bullying, pour out our judgement upon Judgement. It crosses my mind that, perhaps with all this psychometric population control someone will code and release a Unity algorithm! Do we need to expect the Messiah as kabbalah students and the Zohar? We are not here to expect. We are here to make it happen by our transformation.